In a project partnership with Webmonton Media, ShiftUP Consulting had the opportunity to create our most extensive project yet. We based the website around a custom points management system project completed for one of Webmonton's clients. With the programming and functionality creation we brought to the project and the UI and usability skills that Webmonton added, we created an extensive expansion of functionality and useability. The culmination of the project development allows Live Incentives to support multiple portals, each with their own completely custom look, custom company and division set-ups and employee types. With multiple levels of login access, portal administrators can designate appropriate permissions to their various managers to manage the areas they are responsible for. Additionally, reward rules can be fine tuned to affect anyone in the portal right on down to just a particular employee type in one division of a company. 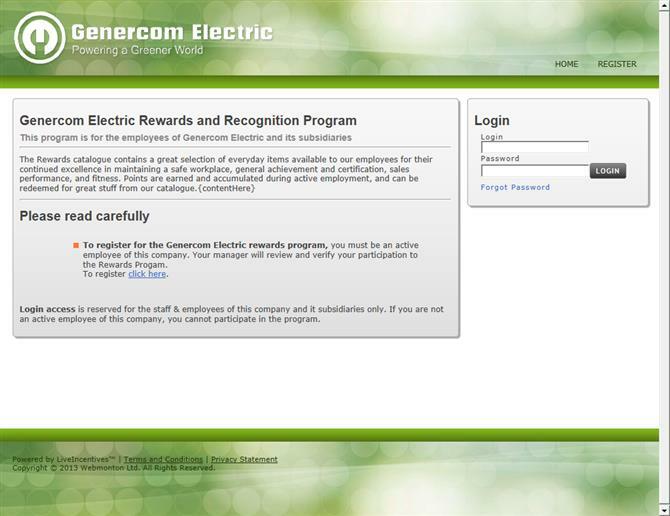 With settings for reward rules that allow for date based events (service awards, birthdays, even company anniversaries), start and end dates, variable points (manager determinate) and the ability to have reward rules be manager initiated, automated or employee requested; the reward system is almost infinitely flexible. The features that Live Incentives supports go on and on, well beyond what is included here. Check out the informational website at www.liveincentives.com to learn more about it!